John Ware reports on the system of directly-elected mayors, focussing on Tower Hamlets in London. Has it led to too much power being concentrated into the hands of one politician? Up and down the country, directly-elected mayors control billions of pounds of public funds. But can this lead to too much power being concentrated into the hands of one politician? 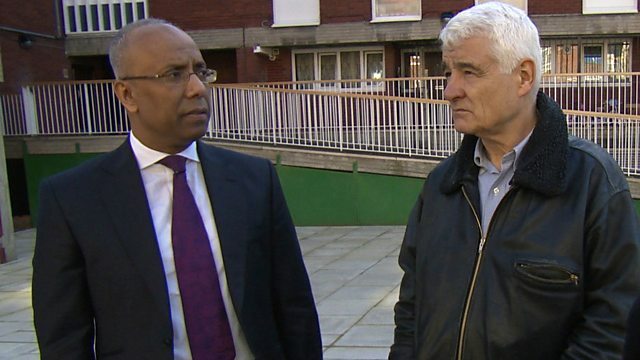 John Ware investigates the directly-elected mayor of Tower Hamlets in London - where opponents claim he's used public funds both to promote himself and to create a local power base that, come election time this May, will help return him to office. Panorama reveals evidence suggesting that, under the mayoral system in Tower Hamlets, accountability and transparency have been put into reverse, with the mayor refusing to answer opposition questions about spending decisions involving millions of pounds of public money - and also how he has injected faith into politics.